NSU Senior Will Hollowell with interns and campus students after his baptism! "JESUS IS LORD!" 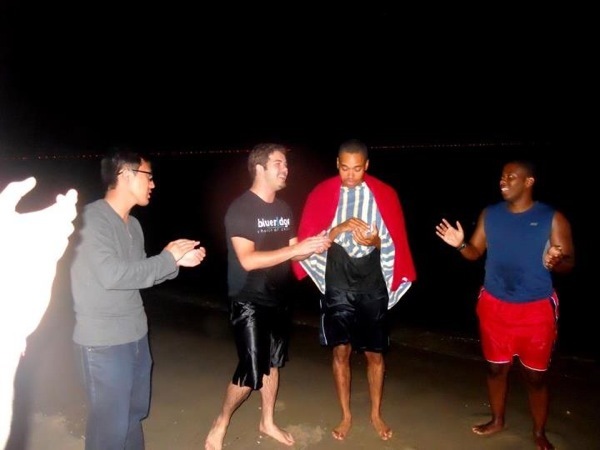 echoed around the beach Sunday night when Will Hollowell was baptized. The rising NSU senior was welcomed into the kingdom by members of the campus ministry and several summer campus interns all fired up to see God save another soul. It has been great to see what God has done this year already and we are all looking forward to what he will do the rest of this summer!